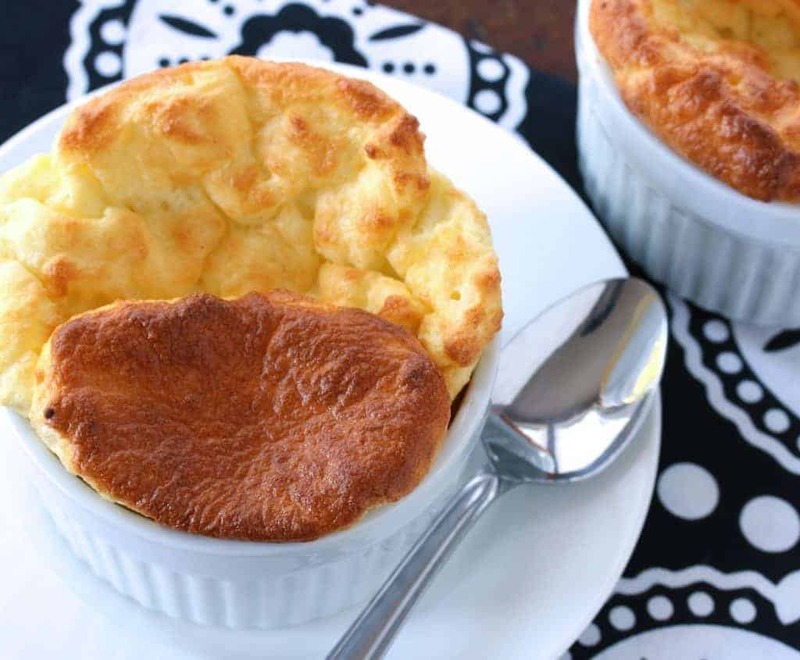 The soufflé has been around for 300 years, originating in France in the early 1700’s. The word soufflé is the past participle of the verb souffler which means “to breathe” or “to puff.” It was first developed by French master chef Vincent La Chapelle who was the personal chef to several members of nobility and traveled widely to to learn about other cuisines and methods of cooking. His aim was to break from long-held traditions and develop concepts of more modern cooking. Though the creation of the soufflé is attributed to him it wasn’t until a hundred years later that its popularity really took off. That attribution goes to the first celebrity chef, Marie-Antoine Carême, who dedicated several pages of his cookbook, “Le Pâtissier Royal Parisien” in 1815, to the art of making soufflés. Many other movies and cartoons humorously portray the soufflé as a hopeless venture that only results in failure. But that just isn’t true! Soufflès really aren’t difficult at all as long as you follow a few basic steps. Those steps are outlined here in this recipe for a classic cheese soufflè adapted from Julia Child’s famous original recipe from The Way to Cook. These cheese soufflès make a wonderful starter for dinner or a main course for lunch. Place the oven rack in the lower third of the oven. Preheat the oven to 400ºF. Butter four 8-ounce ramekins (or a 1 1/2-quart soufflé dish) and divide the Parmesan cheese between them, coating the bottoms and sides with the cheese. Shred the cheese and set aside. Melt the butter in a small saucepan over medium heat. Add the flour and whisk it continually for about 2 minutes but do not let it brown. Pour in the hot milk, continuing to whisk until the mixture is very thick, another 2-3 minutes. Remove the saucepan from heat and whisk in the salt, paprika and nutmeg. Whisk in the egg yolks one at a time. Pour the mixture into a large mixing bowl then cover and let it cool to room temperature. In a clean and totally dry mixing bowl, beat the egg whites until stiff peaks form. Be careful not to over-beat. Fold one large spoonful of the egg whites into the batter. Fold in the cheese. Very gently fold in the remaining egg whites. Be careful not to overmix the mixture – leave some small lumps. Divide the mixture between the ramekins (or in the 1 1/2 quart souffle dish), filling them 3/4 full. Use a butter knife to smooth the tops. Bake for 20 minutes and do not open the oven during that time. Bake until golden brown, you may need to bake up to an additional 5 minutes. The soufflés will begin to deflate a little the moment you remove them from the oven, so serve immediately! Tip: Have your guests already seated at the table just before the souffles are ready to come out of the oven so you can immediately serve them. This recipe provides step-by-step pictures to ensure your success in creating one of France's most famous dishes! Butter four 8-ounce ramekins (or a 1 1/2-quart soufflé dish) and divide the Parmesan cheese between them, coating the bottoms and sides with the cheese. Melt the butter in a small saucepan over medium heat. Add the flour and whisk it continually for about 2 minutes but do not let it brown. Pour in the hot milk, continuing to whisk until the mixture is very thick, another 2-3 minutes. Remove the saucepan from heat and whisk in the salt, paprika and nutmeg. Whisk in the egg yolks one at a time. Pour the mixture into a large mixing bowl then cover and let it cool to room temperature. Fold one large spoonful of the egg whites into the batter. Fold in the cheese. Very gently fold in the remaining egg whites. Be careful not to overmix the mixture - leave some small lumps. Divide the mixture between the ramekins (or in the 1 1/2 quart souffle dish), filling them 3/4 full. Use a butter knife to smooth the tops. Bake for 20 minutes and do not open the oven during that time. Bake until golden brown, you may need to bake up to an additional 5 minutes. This looks so gorgeous and elegant! I got it right the first time I made a souffle and wondered how it got the reputation of easily falling/failing! Wow, these look beautiful! I have never attempted making them because I fell into the myth that it would only come out bad. I’m so excited to try these!! I love the step by step pictures, and I can’t wait to try this! 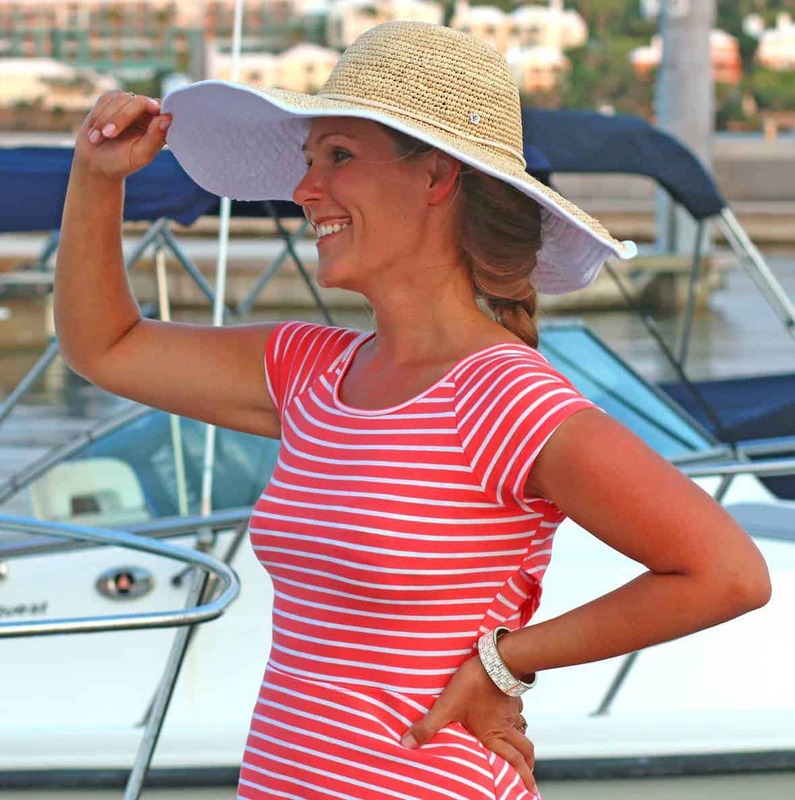 I love your step by step pictures! Makes it so nice to follow! 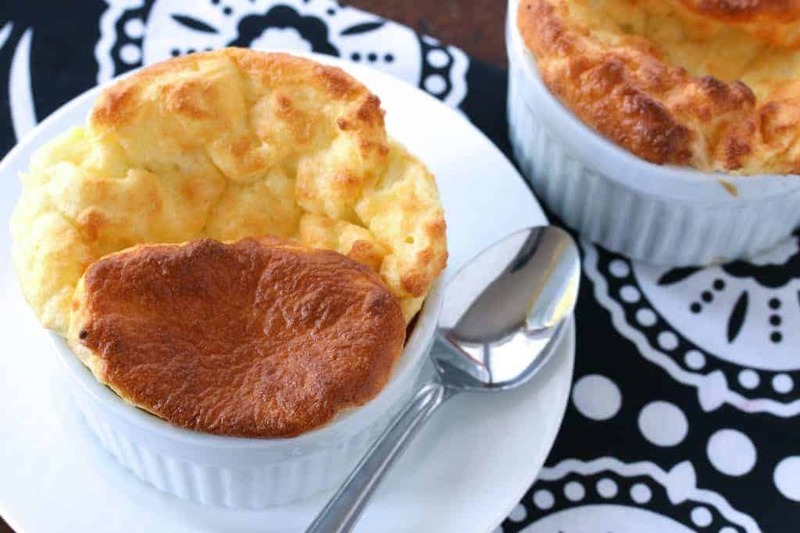 I have never made a Souffle – love all of these helpful tips!! There is something special about a souffle! This looks delicious! These seriously have me drooling so much!! Loving all of your tips! These look amazing! This looks so good! I love your step by step pictures! I have Never made one before but your tips made it seem easy! I have to try this, it looks amazing!!! It’s been ages since I made cheese souffle! I need to fix that soon because this looks fantastic! 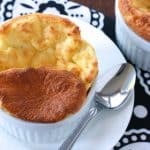 I’ve always been intimidated by soufflés but your step by step pictures help make it seem a lot less hard! This is a terrific blog–down-to-earth and yet intelligent and authoritative. I’m impressed! You make this look so easy! This side dish seems so finger-licking, Kimberly! Thanks for the detailed and inspiring recipe. What kind of milk do you use?